The Senators are likely to give Anders Nilsson a lot of action down the stretch as they have yet to decide on whether or not to offer the pending UFA a deal for next season, suggests Postmedia’s Bruce Garrioch. The 28-year-old has fared better with Ottawa since being dealt from Vancouver, posting a respectable .910 SV% in 18 appearances compared to the .895 mark he had in a dozen games with the Canucks. Veteran Mike Condon is still under contract for next season but his hip issues continue to be problematic; Garrioch noted that he had a recent setback as he continues to rehab his current injury. With that in mind, the Sens will likely want to have some insurance if Condon can’t play next season which could come by keeping Nilsson around. The Wild announced that center Victor Rask will return to the lineup on Monday after missing nearly a month with a lower-body injury. He has struggled since joining Minnesota in a midseason trade for winger Nino Niederreiter; the Swiss winger is averaging a point per game with Carolina which Rask has just a goal and an assist since the trade. With Minnesota is the thick of the playoff hunt, they’ll need more from him down the stretch. Florida is set to get a pair of forwards back in the coming days. Jameson Olive of the Panthers’ team website notes (Twitter link) that forwards Denis Malgin and Colton Sceviour are likely to return this week. Malgin (lower body) is expected to return on Thursday while Sceviour (wrist) has had his cast removed and could be back over the weekend. Bruins prospect Jesse Gabrielle is out for the rest of the season due to a concussion, reports Kevin Paul Dupont of the Boston Globe. He has sustained three separate head injuries dating back to training camp with the last two coming at the ECHL level. The 21-year-old has one year left on his entry-level deal following this season. Rookie forward Jayce Hawryluk has returned from a stint on the injured reserve at the earliest possible date, after being sidelined early last week. Unfortunately, in announcing his activation, the Florida Panthers also noted that defenseman Mackenzie Weegar is headed for his own stretch on the IR. 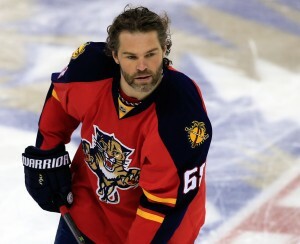 Weegar, 25, has missed the Panthers’ past two games with an undisclosed upper-body injury. The team’s penalty minutes leader, Weegar plays a physical style on Florida’s bottom pairing and has been known to run into injuries from time to time. He missed time last season due to a lower-body injury, lost three games to a shoulder injury in October, and most recently was out four games earlier this month with a concussion. The concussion could very well be the current cause of Weegar’s absence, but the team has not confirmed that is the case. In his absence, the Panthers will lean on their top two pairs for more ice time, while Ian McCoshen should draw back into the lineup. As for Weegar, the impending RFA is on pace to record career highs across the board and will look to get back on the ice as soon as possible. Meanwhile, the Cats will welcome Hawryluk back to the roster. The 23-year-old forward has played in 19 games for Florida, recording five points, and additionally has been a point-per-game scorer for the AHL’s Springfield Thunderbirds this season. A 2014 second-round pick, Hawryluk has tapped into his offensive instincts this season and finally looks like the player he was in juniors. With Evgenii Dadonov and Colton Sceviour currently sidelined, the Panthers needed Hawryluk’s offense back in the lineup. The Florida Panthers have reached a three-year extension with forward Colton Sceviour, putting him under contract through the 2020-21 season. Bob McKenzie of TSN reports that the deal comes with a $1.2MM average annual value, giving Sceviour a slight raise on his current $900K cap hit. Sceviour, 28, has quietly become an effective player for the Panthers over the last few years. A solid penalty killer, he has seven short-handed points over the last two seasons and chips in 20-25 total points annually. Though he isn’t going to be promoted to the top line anytime soon, he’s a relatively inexpensive option for the Panthers to use in the bottom-six of their lineup. Florida now has 10 players signed through the 2020-21 season, including two goaltenders and three defensemen. Though things haven’t gone exactly according to plan this season, the Panthers have their core locked up for the next few years and will have to try and fix things with this group. Signing players like Sceviour, who are reliable and cheap, gives you the opportunity to pursue more expensive options to fill the other holes on the roster. With the trade deadline approaching, we will be profiling several players in the weeks ahead that have a good chance to be dealt by February 26th. The last time that the Florida Panthers went out and added a veteran Czech forward, it worked out perfectly. Jaromir Jagr was an All-Star and the Panthers were Atlantic Division champions. GM Dale Tallon may have been hoping that lightning would strike twice when he added Jagr’s countryman, Radim Vrbata, this off-season. It didn’t. In fact, Vrabta’s tenure in Florida has been an unmitigated disaster, as the 36-year-old is on pace to have the worst offensive season of his long, successful NHL career. Nevertheless, Vrbata has shown time and time again to be a lethal weapon when he finds the right line chemistry and, despite what they say, even on teams other than the Coyotes. Vrbata’s decline in production could be a sign of his age, but some teams may gamble on it instead being a product of his surroundings and will look to acquire the experienced scorer at a bargain price. The Panthers are not as far out of a the playoff picture as some might think – six points back with two games in hand as of this writing – but that won’t stop them from entertaining offers on several players, especially Vrbata. The veteran forward hasn’t worked out in Florida and wouldn’t be much of a loss for the Cats, so a trade could wind up as a win-win for both sides. Vrbata signed a one-year deal with Florida this summer that carries a $2.5MM base salary, his cap hit for the year. Vrbata can earn an additional $1.25MM in performance bonuses and, interestingly enough, a trade to a contender could trigger one of them; Vrbata earns $250K if his team makes the playoffs this season. He also earns $250K each for 10 goals, 15 goals, 20 goals, and 45 points. With just 5 goals and 13 points thus far, he realistically has a shot at only $500K in bonuses for 10 goals and a playoff berth. This overage would count against next season’s cap. The myth surrounding Vrbata has always been that he doesn’t perform outside of Arizona. While past campaigns in Colorado, Chicago, and Vancouver have indicated otherwise, this season in Florida has only added fuel to that fire. Vrbata has skated in 35 games for the Panthers this season, missing five games due to injury, five to illness, and another six (and counting) as a healthy scratch. Even when he’s been on the ice, Vrbata has been invisible. He’s outside the top ten in goals, assists, and points among Panthers and his impressive power play production has dried up, reduced to just four points on the year. On top of that, Vrbata has the third-worst plus/minus on the team and, as he has his whole career, plays with little physical or defensive ability. As a result of his poor play, the 16-year NHL veteran is seeing the least ice time of his career. The Vrbata experiment in Sunrise did not work out and will soon be over, either via trade or the end of the season. So who would want to trade for such an uninspiring asset? Unfortunately for Vrbata, the Coyotes aren’t an option as they are as far from a deadline seller as any team could be. However, Vrbata has found success elsewhere before in his career and he can do so again. Especially at this point in his career, Vrbata is the perfect deadline depth acquisition: a hired gun who doesn’t need to be relied upon to be a team’s best player. With the right fit, Vrbata can score in bunches down the stretch and in the postseason. Several playoff-bound teams are known to be looking for a scoring winger, including the Washington Capitals, St. Louis Blues, and San Jose Sharks. All three teams have the infrastructure where Vrbata could settle in to a middle-six role depending on which personnel he fits best with. Top contenders like the Nashville Predators and Tampa Bay Lightning – if the Bolts are willing to bring Vrbata back for a second go-round after his disappointing prior stint – could also use the luxury of bringing in a veteran winger, but could also survive if he doesn’t work out and ends up a frequent scratch. However, where Vrbata is likely the best fit is not with a bona fide playoff team, but instead a fringe team looking to make a minor addition in hopes of increasing their odds of seeing the postseason. The Calgary Flames, who won’t trade away any high draft picks, might be happy to take a look at Vrbata if the price is a late pick or low-end prospect. The Colorado Avalanche, the team that drafted Vrbata, and New Jersey Devils have both stated that they won’t derail their long-term plans by chasing expensive rentals, but could pursue the affordable Vrbata, while the Anaheim Ducks and Carolina Hurricanes could also be options if they are closer to a playoff berth come deadline day. Predicting whether Vrbata’s 2017-18 performance will outweigh his career production in the eyes of this year’s buyers is impossible. There is a clear need for a veteran winger with a scoring touch on many teams, including some not even mentioned, but whether they target Vrbata over any number of other options (even including Panthers teammate Colton Sceviour) remains to be seen. If anyone does come calling though, it would be a surprise to see Florida turn down the best offer. The Panthers will continue to push for a playoff spot of their own, but Vrbata won’t play a real part in that plan whether he is traded or not. The signing was a failure, but Florida can still turn it into a positive if they are able to get something back in return for trading Vrbata. Over the next few weeks we will be breaking down each team’s situation as it pertains to the 2017 NHL Expansion Draft. Which players are eligible, and which will likely warrant protection or may be on the block. Each team is required to submit their protection lists by 4pm CDT on June 17th. The full rules on eligibility can be found here, and CapFriendly has provided a handy expansion tool to make your own lists. After cracking 100 points and winning the Atlantic Division in 2015-16, injuries and overall under-performance sent the Panthers tumbling back to Earth in 2016-17. Florida finished with over 20 points less, at 81, good enough for sixth in the division and a top-ten draft slot. Yet, hopes remain high in Sunrise, FL as the Panthers are still a team built around young stars that has just begun to reach its potential. With Huberdeau, Trochek, Barkov, Bjugstad, Ekblad, and Matheson forming a core group under 25 with top prospects like forwards Henrik Borgstrom and Adam Mascherin and goalie Sam Montembeault still on the way, Florida only has to worry about adding complementary pieces to a talented young group. Yet, the shadow of the Expansion Draft still looms large over the Panthers. With so many good, young players under contract, the expansion process will not be easy for the Cats. They may be able to protect their best young players, but they are nearly guaranteed to lose a solid complementary veteran. The Panthers don’t have an easy decision to make at any position group. They face the risk of losing a prominent forward, defenseman, or goalie if they don’t read the Vegas Golden Knights correctly. Perhaps the biggest name who may be left unprotected in net: potential future Hall of Fame goalie Roberto Luongo. Many were surprised when the Panthers brought back Luongo, and with him the remainder of a 12-year, $64MM contract, in 2014. Even more were surprised when, nonetheless, Florida signed James Reimer to a five-year, $17MM contract on July 1st of last year. That move seems like it has partly been leading up to this point. While Luongo and Reimer each started 39 games in 2016-17 with very similar records, Reimer had the edge on Luongo in performance statistics. While this was their first season sharing the net, it is now the second season in a row in which Reimer has outplayed Luongo. It seems very unlikely that Florida will choose to protect the 38-year-old Luongo, who is under contract at $5.33MM per year until the age of 43, over the 29-year-old Reimer, with a more reasonable $3.4MM cap hit over that same span of time. Luongo will thus likely be one of the biggest names under contract and available to Vegas, but don’t expect a new team to take on that contract. Should they expose Reimer instead, the chances are much higher that the Knights will select a Panther goalie, but chances are both keepers are back in Florida next year regardless. Among the forward corps, there is a lot to sort out. To get the easy ones out of the way, young scorers Jonathan Huberdeau, Vincent Trocheck, Aleksander Barkov, and Nick Bjugstad are almost surely safe. Assuming the Panthers go with the 7/3 scheme, that leaves them with three forwards left to protect. If they do go 8-skaters, then those four would represent all the protected forwards. After a breakout campaign in which he led the Panthers with 30 goals, 26-year-old Jonathan Marchessault is also highly likely to be protected. This leaves just two spots left for four valuable veteran forwards: Reilly Smith, Jussi Jokinen, Colton Sceviour, and captain Derek MacKenzie. Luckily for the Panthers, all four meet the qualifications (having played 70 games over the last two seasons or 40 games last season and be under contract) to meet the two-forward quota, so whoever the GM Dale Tallon wants he can have without having to consider other expansion criteria. With the free agent status of Jaromir Jagr up in the air, the leadership value of Jokinen and MacKenzie must be considered by a young Florida team. However, MacKenzie has not scored more than 20 points in a season since 2010-11 and is likely not of interest to Vegas and can be left unprotected. So who of Jokinen, Smith, and Sceviour will join him in the Draft? The 25-year-old Smith has the best chance to be the best producer for the longest amount of time in Florida. This also could be a way for the Panthers to dump the five-year, $25MM extension they signed him to last summer before it even begins. As he did with the Boston Bruins, Smith had a great first season with Florida in 2015-16, but just as he did in Boston, Smith fell off significantly in year two. The Panthers will have to re-sign Bjugstad and Marchessault and give non-entry level deals to Denis Malgin, Jared McCann, and others before that contract expires. Can they afford the weight of a $5MM annual cap hit for an average player? If Smith has scared them off, expect them to expose him and hope Vegas takes the risk. If not, it comes down to Jokinen and Sceviour. Again, the 33-year-old Jokinen has the leadership and experience and is just one year removed from a 60-point season. Sceviour can’t boast that kind of career production, but at $950K to Jokinen’s $4MM and Smith’s $5MM, he gets the Panthers more bang for their buck. Defense is the real nightmare for Florida. Keith Yandle’s No-Movement Clause makes him automatically protected, though he would be protected regardless after signing a seven-year deal last year that began with a nice 41-point season. Aaron Ekblad is also as close to a sure thing as their is in the Expansion Draft as far as protection. The 2015 Calder Trophy-winner struggled a bit last season, but is still a top pair defenseman at just 21 years old. That leaves defensive spot left in the 7/3 scheme and three stalwart defeseman to choose from: Jason Demers, Alex Petrovic, and Mark Pysyk. Unfortunately, unless circumstance change, Demers is out of the equation. With Yandle and Ekblad protected and Petrovic and Pysyk as restricted free agents, Demers is the only defenseman on the roster who can meet the 70-40 quota. It is possible for Florida to re-sign and expose Petrovic, Pysyk, or impending unrestricted free agent Jakub Kindl and then protect Demers, but their hesitation to do so yet seems to imply that they won’t be. Thus, Demers will be exposed and stands a very high chance of playing in Vegas next season. As for Petrovic verus Pysyk, both are similar in age and have great ability, but little to show for it on the score sheet early in their careers. The Panthers brass know best which 25-year-old fits best on the team, and likely both will remain in Florida, but don’t be surprised if they give the homegrown talent Petrovic the nod. Every team has a few risks that they must take in the Expansion Draft. As extraordinarily unlikely as it is, losing Luongo would be a blow and would cause the Panthers to have to change their off-season priorities to focus on helping Reimer in net. Smith being selected could come back to bite them if his $25MM deal pays off in Vegas. Being stripped of their captain would be rough on the locker room and they will likely hold out hope that there is no interest in MacKenzie. Having Pysyk taken from them after he was the centerpiece of last summer’s Dmitry Kulikov trade would feel like a waste. So what sets Florida apart? Exposing Demers barely qualifies as a risk. The 28-year-old was one of the prizes of free agency last summer and just finished the first season of a relatively affordable five-year, $22.5MM deal. He scored 28 points this season, the second best campaign of his career and a level of production closer to that of his time back with the San Jose Sharks. He also has seen a steady climb in shooting percentage as the years have gone on and could easily break double digits next season, regardless of where he plays. However, the best thing about Demers for the Golden Knights is that he is a safe pick. He can lead their defense, can easily play 20+ minutes per night, can hit and block shots, and is signed long-term, meaning he can become a franchise player and potentially the team’s first captain. Unless the Panthers go 8-skaters or extend a current qualifying defenseman to then protect Demers, they face a real risk of losing a very solid player for nothing after just one year. Richards adds that Rowe hasn’t had a lot of time to change much in a short turnaround, but that some changes included Jonathan Marchessault returning to the top line. Jussi Jokinen was shuffled to the second line while Seth Griffith, who played on Florida’s fourth line, changed to the third line. While Richards looked at Rowe’s changes on the ice, The Sun-Sentinel’s Dave Hyde focused on the shift in thinking within the organization. To announce Gallant’s firing Monday, four Panthers officials were needed on the teleconference with media. Four. One more and they’d have a starting lineup Tuesday night in Chicago for the first game of their next chapter. Gallant thought his big presence could help and kept pushing for him to be promoted from the minors. The front office didn’t like his analytics profile. Shaw recently was traded to Anaheim in a small deal for winger Michael Sgarbossa. Maybe it’s a good trade. Again, we’ll see. But it certainly sent a message to Gallant of where he stood. I think you need to keep an open mind to both analytics and how best to use that information, within the context of understanding what makes a player useful just from knowing the game. There’s room for both schools of thought in hockey, and I’m mighty tired of people trying to make you pick a side. LeBrun wonders who will receive the credit or blame based on the Panthers’ performance. Regardless, the Panthers’ decision making seems to be a microcosm of the debate raging on in the NHL regarding “old school” thinking versus the “new school” way. The Florida Panthers were widely expected to challenge the Tampa Bay Lightning for supremacy in the Atlantic Division but through 12 games this season they boast a 5 – 6 – 1 record and have dropped five of their last seven decisions. Injuries to several key players have obviously played a part in the team’s slow start but help may not be far off as a couple of players are nearing a return. As Tom Gulitti of NHL.com writes, the Panthers just need to hold it together and stay afloat for a while longer until those reinforcements arrive. Jaromir Jagr is the latest to join the ranks of the wounded, sitting out the final two periods of Saturday’s 4 – 2 loss to Washington due to groin soreness. According to Florida bench boss Gerard Gallant, the injury to Jagr isn’t considered serious and the ageless wonder is listed as day-to-day. Florida has been without the services of Nick Bjugstad (broken hand) and Jonathan Huberdeau (Achilles) all season while veteran winger Jussi Jokinen has been out since October 20th with a lower-body-injury. Gallant indicated Bjugstad and Jokinen may be able to return this week. While it might be understandable to do so, the coach won’t use the plethora of injuries as an excuse for his team’s early season woes. While the absences have likely contributed to Florida’s recent slump, they have also allowed for two unheralded offseason additions to see more ice time and impress the organization. Jonathan Marchessault has potted six goals and has 12 points in 12 games while Colton Sceviour has five goals and eight points. While neither player is likely to maintain that scoring pace throughout the campaign, their early-season contributions have certainly been welcome and also represent hope for a balanced scoring attack upon the return of Florida’s top-six forwards. While unlikely to change the team’s fortunes, the Panthers did place defenseman Steven Kampfer on waivers, according to Elliotte Friedman. To take his spot, presumably, the team has recalled fellow blue liner Jakub Kindl from Springfield of the AHL, as George Richards of the Miami Herald reported on Twitter. Kampfer appeared in just one game for Florida, going scoreless and taking two minor penalties in 16:48 of ice time. Kindl has recorded three points in nine minor league games this season. If Kampfer goes unclaimed, he will likely head to Springfield with Kindl assuming the role of seventh defenseman.